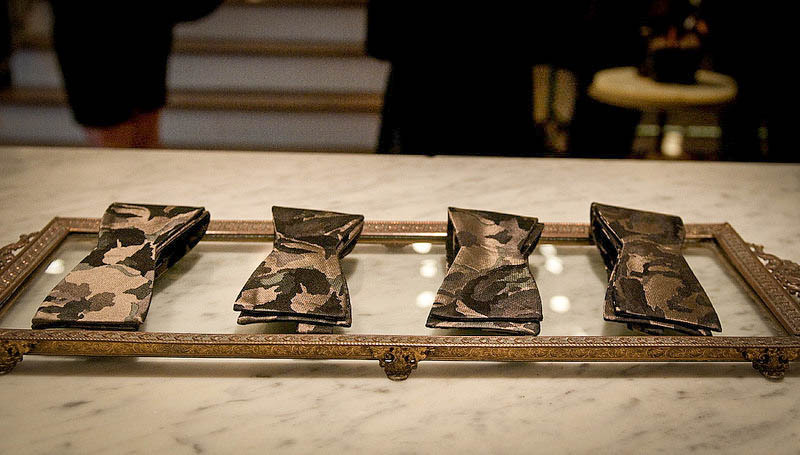 TIE THE KNOT launched a limited edition bow tie designed by CFDA award-winning fashion designer Billy Reid. All proceeds from the sale of the bow tie will benefit the Human Rights Campaign (HRC) and the work they are accomplishing to advance LGBTQ equality in the American south. On September 30, TIE THE KNOT and Billy Reid joined Chad Griffin, president of HRC, and Alabama State Representative Patricia Todd, the first ever openly gay elected official in Alabama, to celebrate the launch of the partnership at the Billy Reid storefront in Georgetown, D.C.
HRC launched Project One America in 2014 - a comprehensive campaign to dramatically expand LGBT equality in the South through permanent campaigns in Mississippi, Alabama and Arkansas. This substantial and lasting initiative—with a three-year budget of $8.5 million and a dedicated staff of 20 - is the largest coordinated campaign for LGBT equality in the history of the South. Purchase a Billy Reid TIE THE KNOT bow tie today to help support LGBTQ equality.